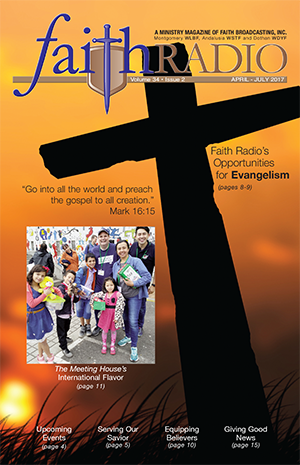 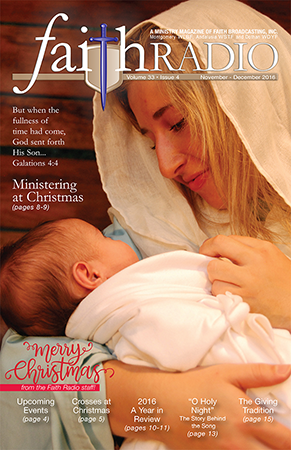 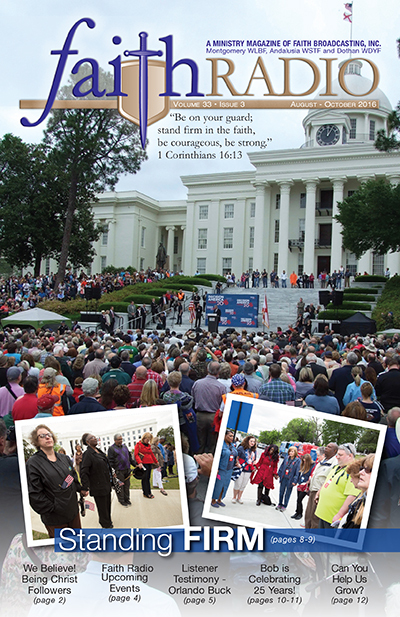 Faith Radio publishes a quarterly Ministry Magazine and a monthly Email Newsletter for it's listeners and supporters. 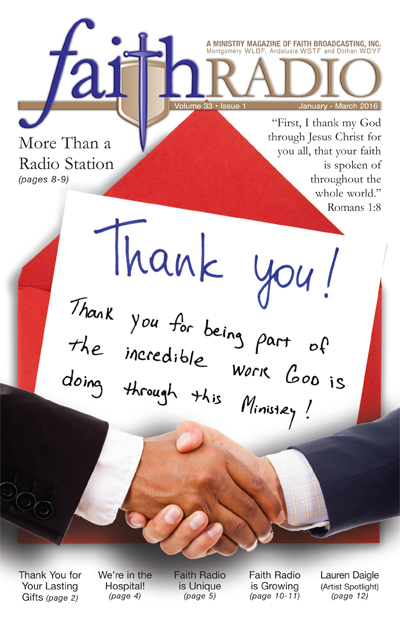 You may be a part of the newsletter and Ministry magazine by requesting them to be emailed or mailed to you. 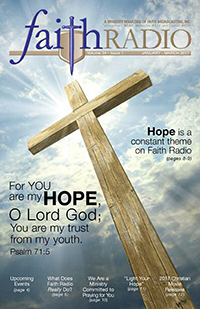 CLICK HERE if you would like to be added to our mailing list or call 800-239-8900 to give us your address. 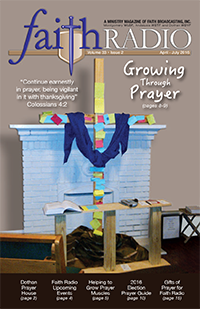 CLICK on the links below to read our latest email newsletters.